A Formation for this Life and the Next. 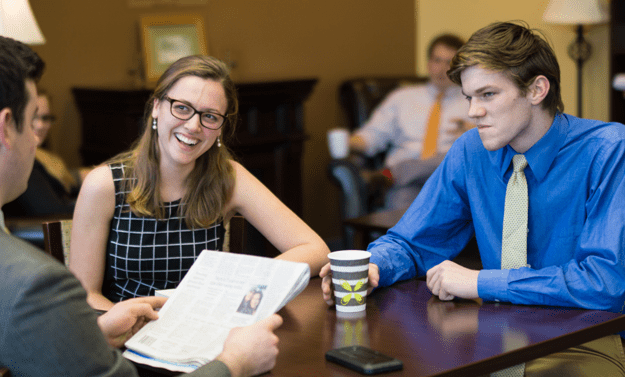 As a Catholic liberal arts college, Christendom’s essential purpose is to place students on the path to Christian wisdom, a wisdom born from the contemplation and love of both natural and divinely revealed truth. Toward this end, the academic and other programs at the College work in conjunction. The chief goal of the academic program is to form intellectual virtues in the students. The activities, events, community, and spiritual life on campus also foster the cultivation of wisdom, helping students to form the moral virtues, the habits of Christian living, which will enable them to order properly the goods and things of the body and the higher goods and things of the soul. These moral habits, as traditionally understood, make possible the speculative life; without them, a person is incapable of true contemplation, for contemplation is a matter not only of the mind, but also of the will, of the heart, of the whole man. Man is called not only to know the truth, but to love it, and to make it the formative principle of his life. Encouraging these habits is the responsibility of the College as a whole. If you have any questions about any of our programs or just about life on campus in general please feel free to contact us anytime.